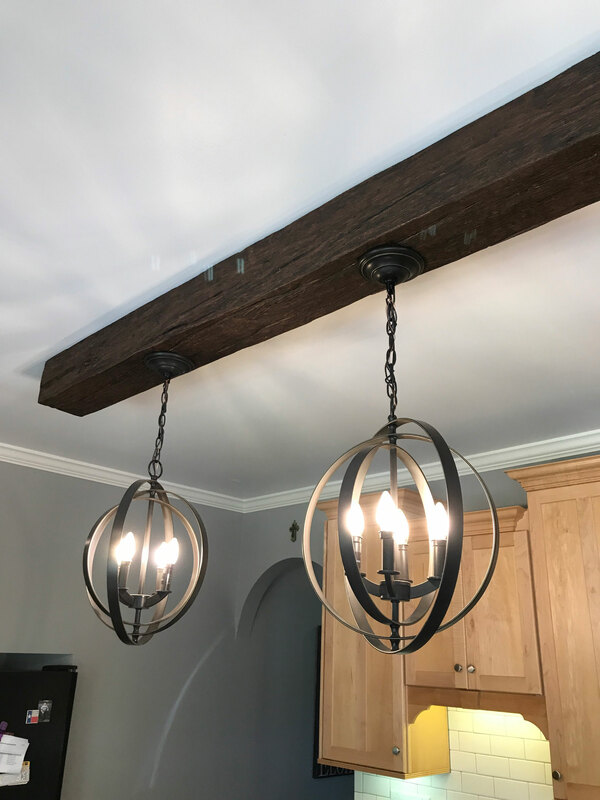 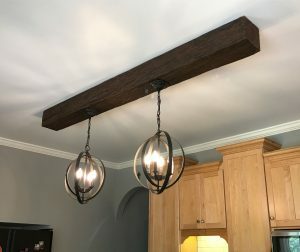 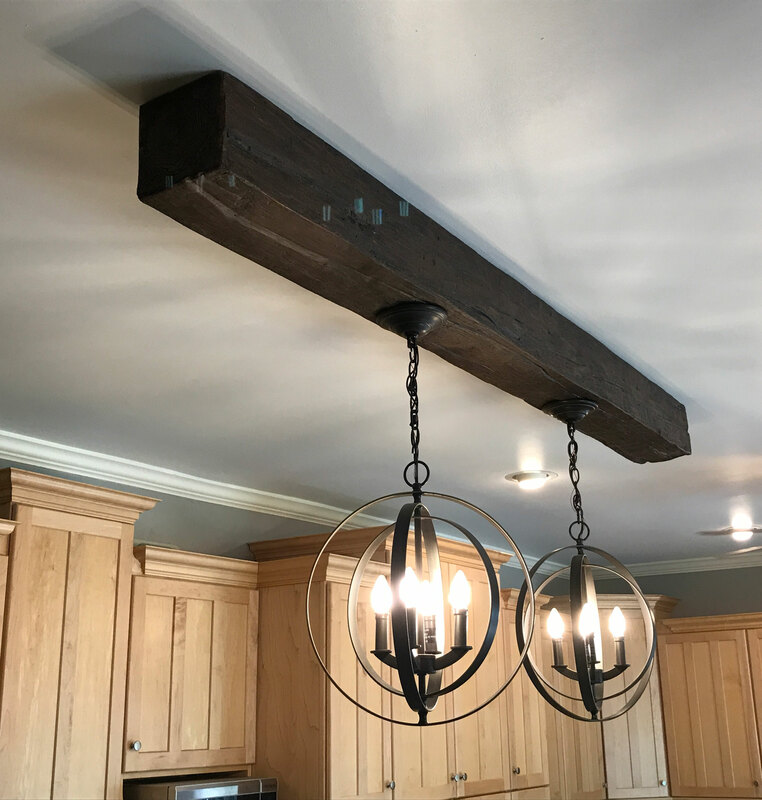 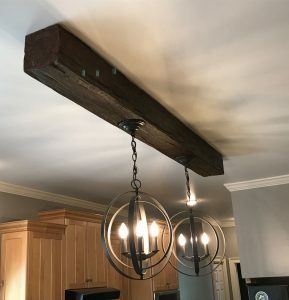 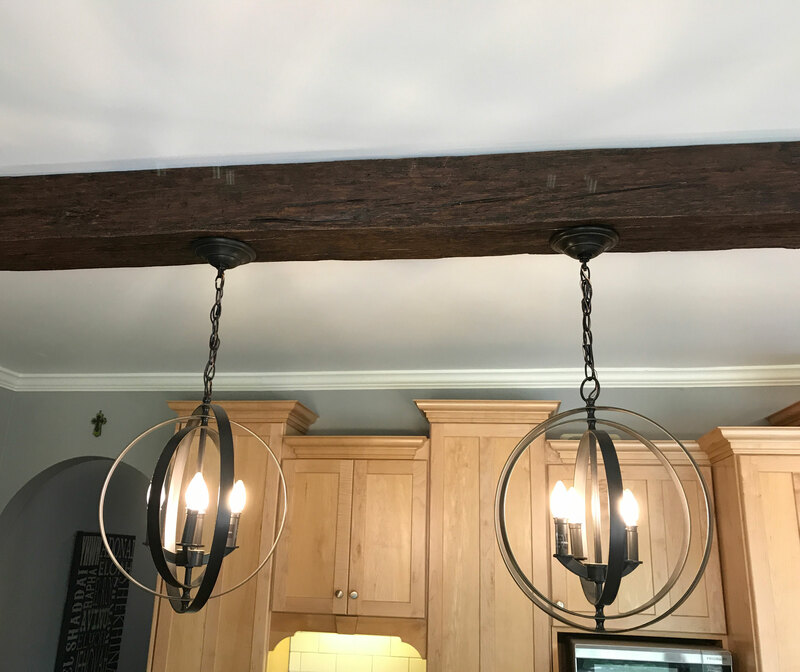 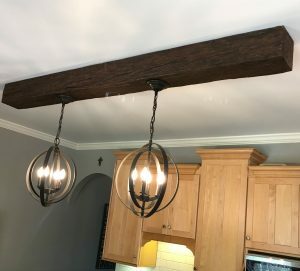 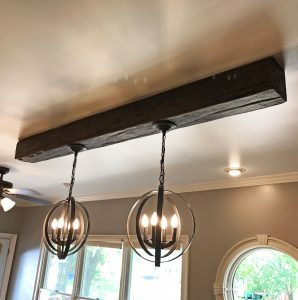 Michael, one of our recent customers from Augusta, Georgia shared their home improvement project with us that featured our Endurathane Faux Wood Beams. 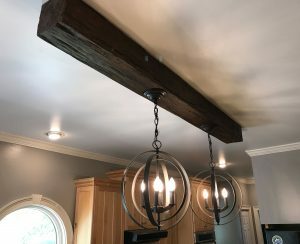 Though the customer’s ceiling is not extremely high, it is the perfect area for the addition of beams. 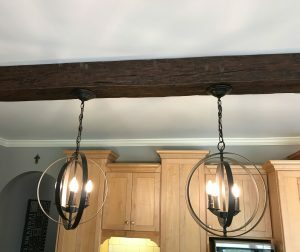 Before the Endurathane beams were installed, the room looked quite plain. 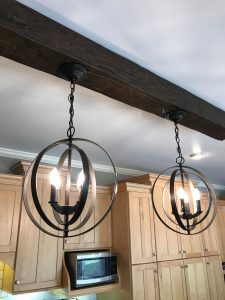 Since their addition, there is more depth to the room and it beautifully contrasts the colors of the cabinetry.